Z.Y.X. HYC Tastefully themed in lavender and aromatic dark wood, this three-story restaurant focuses on light and mildly sweet Yangzhou cuisine. 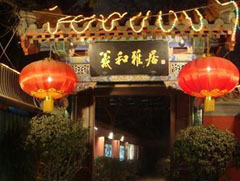 Xihe Yaju Foreigners and Chinese alike flock to this upscale restaurant set in a traditional courtyard that borders Ritan Park. 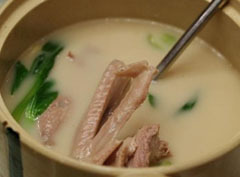 Pu Yue Ren Jia Makes ordinary dishes extraordinary. 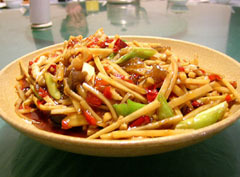 Try the stir-fried green beans and noodles.